Please note that the content of this book primarily consists of articles available from Wikipedia or other free sources online. 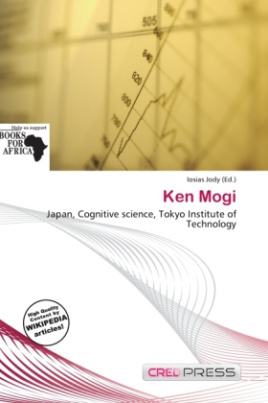 Ken Mogi is a Japanese brain scientist. He is currently a senior researcher at Sony Computer Science Laboratories and a visiting professor at the Tokyo Institute of Technology. According to the profile posted at his personal blog, his mission is "to solve the so-called mind-brain problem." After graduating from the University of Tokyo in 1985 with a degree in science and in 1987 with a degree in law, Mogi received in 1992 a Ph.D. with the thesis "Mathematical Model of Muscle Contraction".